Preventing an old meterboard going up in smoke might help strata managers turn the meterboard into a leaderboard. In a sleepy suburb in Sydney’s south west, the meter board recently became an issue. Before the meterboard became top dog, the key strata issues were tenants dumping junk into the common storeroom and smokers using that storeroom, full of old mattresses, as a smoking room. While the “smoking room” was a fire hazard in itself, the burning platform was actually next door in the switchroom. As a strata scheme with a very low strata scheme number….we are talking in the hundreds, the main switchboard could be considered a relic from another era. Ceramic fuses, spinning disc meters, asbestos….the lot. The early indicator sign that something was going wrong on the main switchboard was a single apartment losing power. Calls to Ausgrid showed that there was no power outage in the local area. Checking with the apartments next door showed that other apartments still had the lights on. Next…..a persistent “buzzing” sound during the early hours of the AM was the sign something was seriously wrong….this was followed by a smell and a visit to the switchroom by the resident whose apartment had lost power. A smouldering switchboard prompted a call to Fire Services. Before the residents knew it, two firetrucks had lined up outside. In the middle of winter, the residents were evacuating their units in their dressing gowns, waiting for the burning switchboard to be contained. 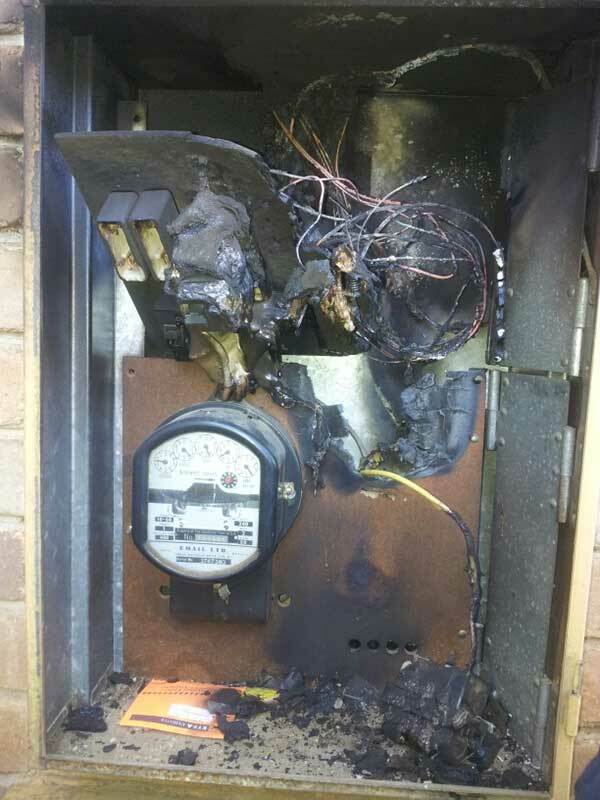 The upgrade to a new switchboard was overdue and could have been avoided if the strata had paid for a routine inspection by an electrician as preventative maintenance or investigated a smart meter upgrade of the common meter. Strata managers can now register buildings in the City of Sydney and in Queensland for a fully funded electric vehicle recharge assessment (including meter board assessment). Read more about the program here.